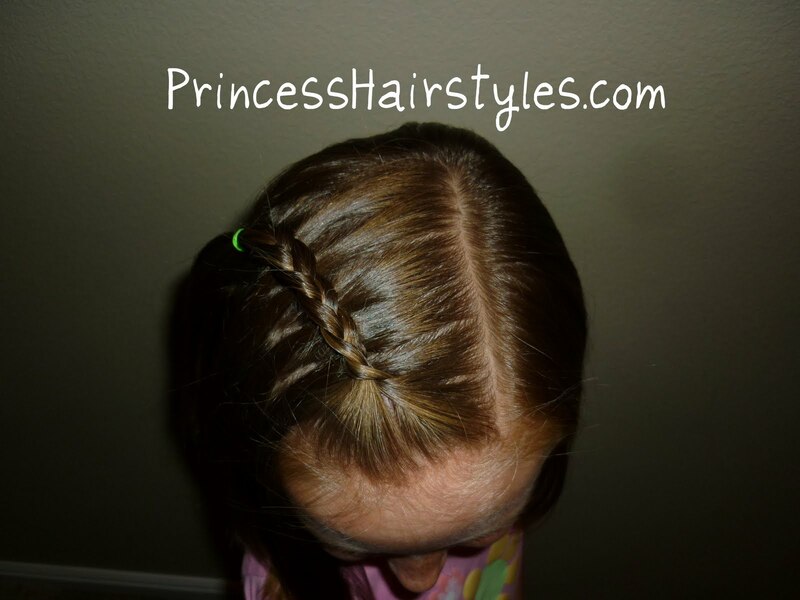 You might remember seeing this floating braid we posted awhile ago. It has other names such as a fairytale braid, waterfall braid, fall-through braid etc. Anyway, the Princess requested it the other day, so I got to try it out with her shorter hair. I was happy to see we could still do it with her new haircut! I was messing around with it and also discovered an easier way (in my opinion) to create the same type of look. If you were having trouble getting the hang if it the first time, maybe this will work for you! This is how the "old" technique from the first floating braid video ends up. And this is the new technique. See the difference? It almost looks like an inside-out braid, but it's not. Of course if you wanted to, you could do either of these techniques on both sides of the head like we did the first time. We call that the medieval princess hairdo at our house as it looks like a hair style you might see at a renaissance fair or festival! I love this! Can't wait to try it on my sweet girl. 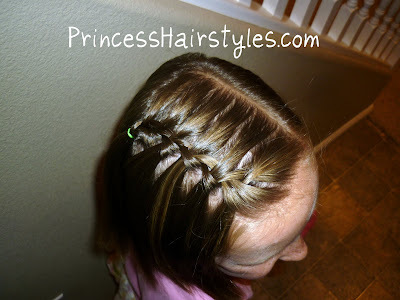 I love the waterfall braid, but it's not very durable. This method looks like it'll stay in better. I can't wait to try it. I can't wait to try this. It looks really cute. I love the short hair now too! Aww what a cutie you have and an awesome hairstyle too! this not only looks easier, but when it's done, you don't see the scalp as much... which I like... I'm definitely going to have to do something really cute with it... just not sure what... My daughter is really big into pigtails and pony tails right now... maybe just bring it all down into pigtails... but that seems too simple and done before. That is awesome! I agree, it does look a little neater, and a LOT more durable, than the other method. Thank you!! That is so cute, and way more doable for me with Pippy, since her hair is too thin to hold it the traditional way. Thanks!! I have tried this the other way and couldn't do it. This looks easier. I can't wait to try. My daughter and I have always re created your hairstyles and love them. Recently she got ahold of her scissors at pre school and cut 6 1/2 inches off her hair. The amazing thing is when I got on to look at the beautiful hair styles we would no longer be able to do I see that your daughter donated her hair and it is now the exact same length as my daughters so we can continue to use our styles on her short hair!!! Keep these short ones coming, we love them! !